Perfect for on-site work at night or for areas which need a high level of light. 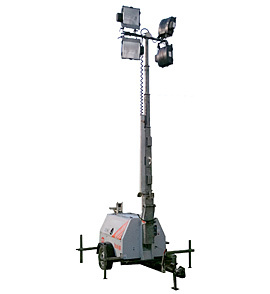 The Tower Light can work for up to 80 hours with a mast height of 9.7 metre on 4 x 1000 Metal Halide lamps. It is easy to use/set up and is one man operation.